EQuick eShock are exclusive leg protectors made of high quality materials. These anatomical tendon boots ensure a good fit around the horse’s legs, with maximum mobility. The outside is reinforced with TPU. 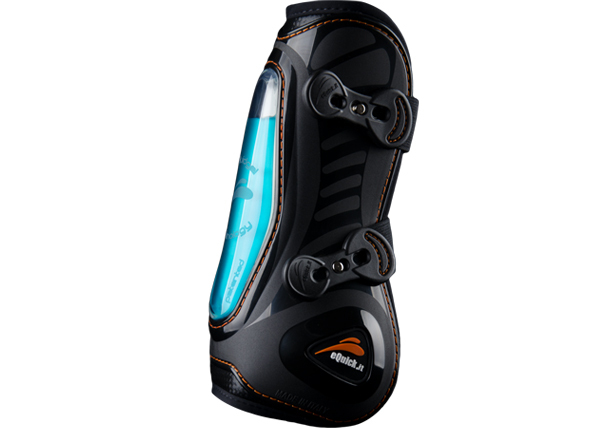 The inside is provided with a high-quality neoprene. Thanks to the quick snap closure, the protectora are easy to put on and take off.The patented blue eFluid gel greatly reduces the impact on the tendons of the horse. eQuick stands for technical innovations in the field of leg protectors.